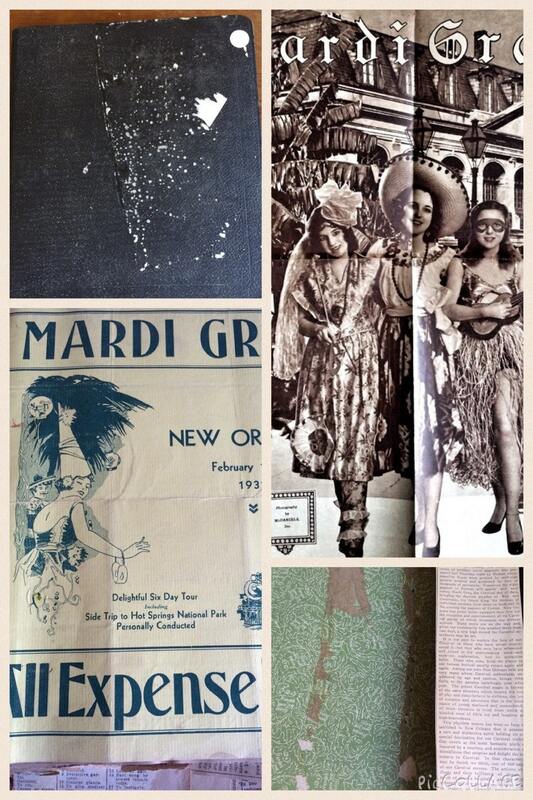 Wonderful 1931 Mardi Gras scrapbook is loaded with fantastic vintage ephemera! 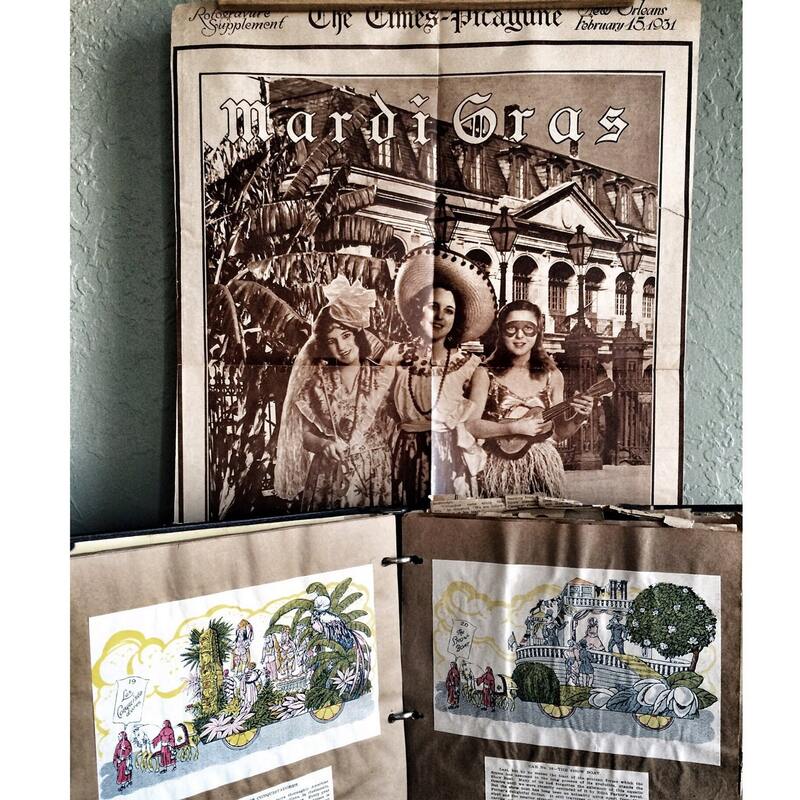 Someone lovingly compiled pages with float designs, parade routes, queens & royalty, newspaper clippings & articles. Also included is this stunning poster featuring flapper girls! At the front of the scrapbook is a brochure from the Missouri Pacific Lines Railroad - "All Expense Tour." It touts "Visit America's Gayest City During Her Gayest Season." There is a list of travel prices on the back. 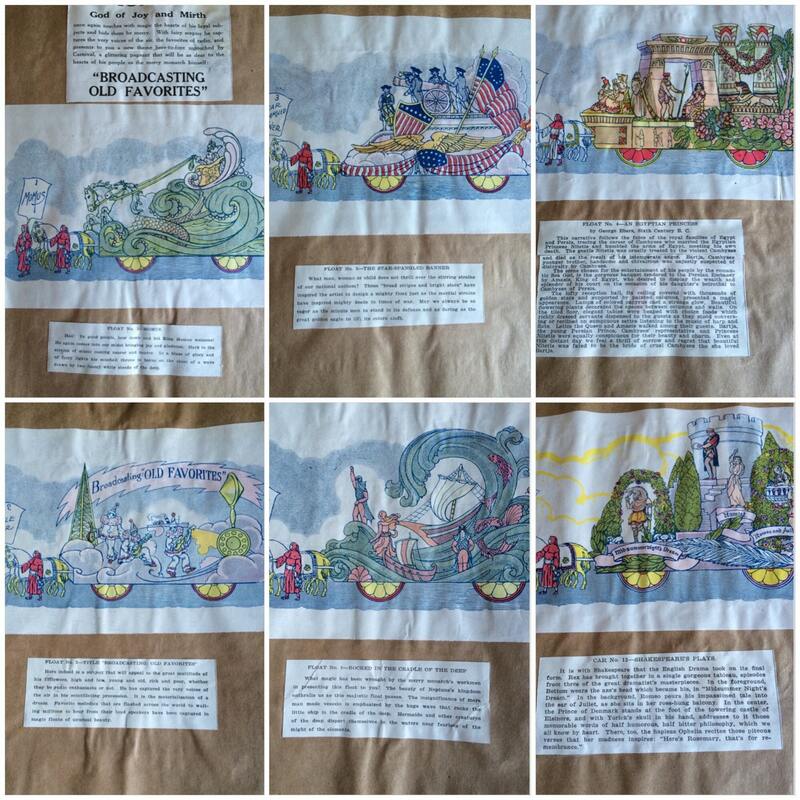 Next, there are over 60 pages of color illustrations of floats, divided into 3 pageants: Momus, Proteus, & Rex. 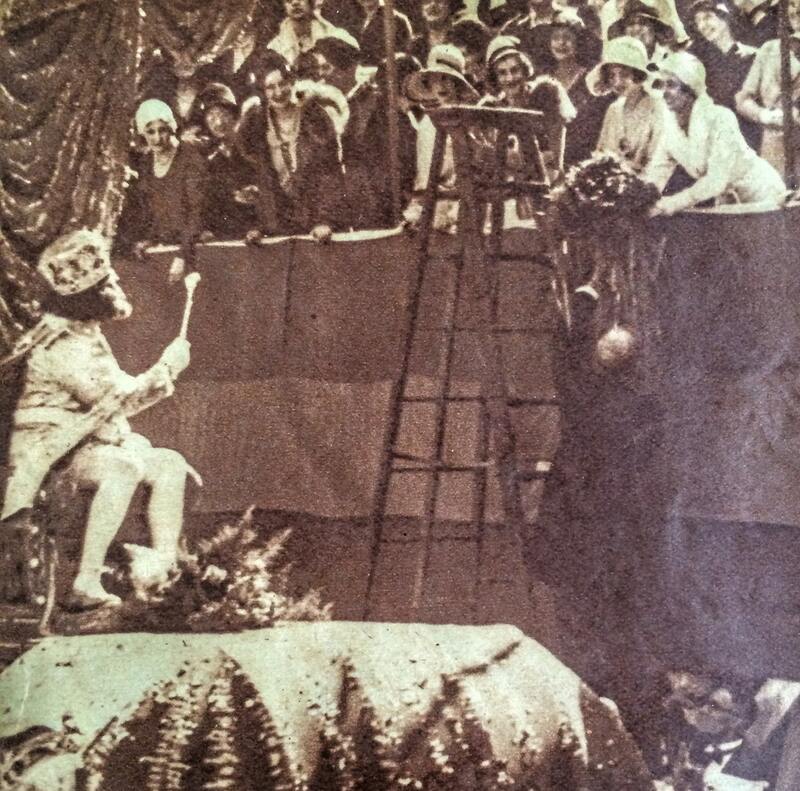 These are followed by several pages of sepia-toned photo illustrations. 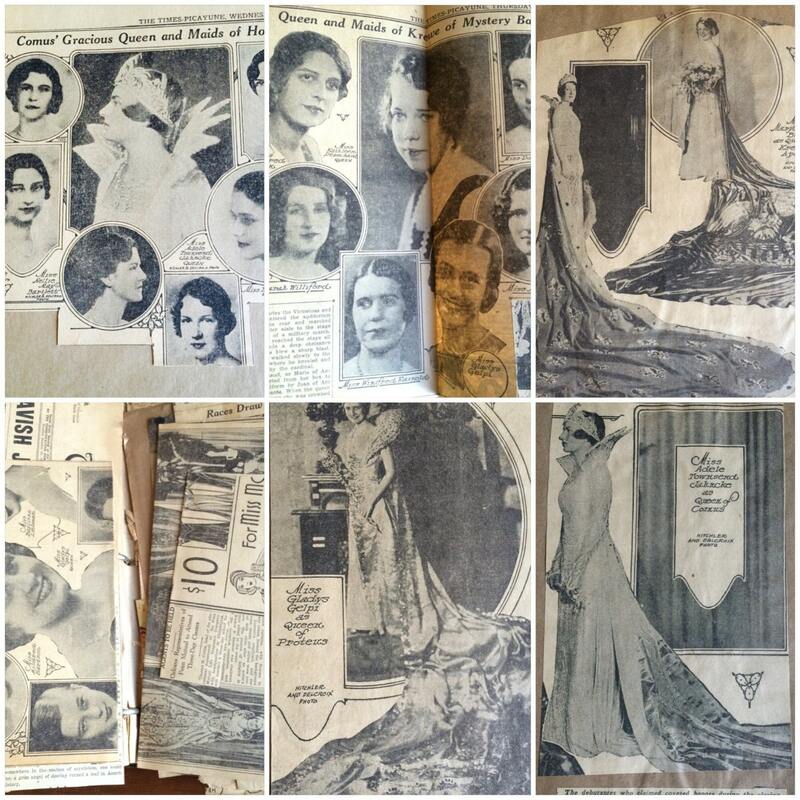 Most of the newspaper clippings are loose. Black 11 x 10 inch scrapbook has a shabby cover. A few of the brown kraft paper pages are loose. Newspaper pages are brittle & crumbly. Poster is splitting a little at center fold lines.